(TibetanReview.net, Oct09, 2015) – The National Constitution Center in the US city of Philadelphia is to go ahead with its 2015 Liberty Medal award ceremony on Oct 26 in the absence of its awardee, the Dalai Lama, Tibet’s exiled spiritual leader, reported phillyvoice.com Oct 7. The report said the award will be received on his behalf by Dr Thupten Jinpa, his principal English translator, and Dr Richie Davidson, founder and chair of the Mind and Life Institute. Also present at the award presentation ceremony will be Philly-born Hollywood star and Tibet activist Richard Gere. 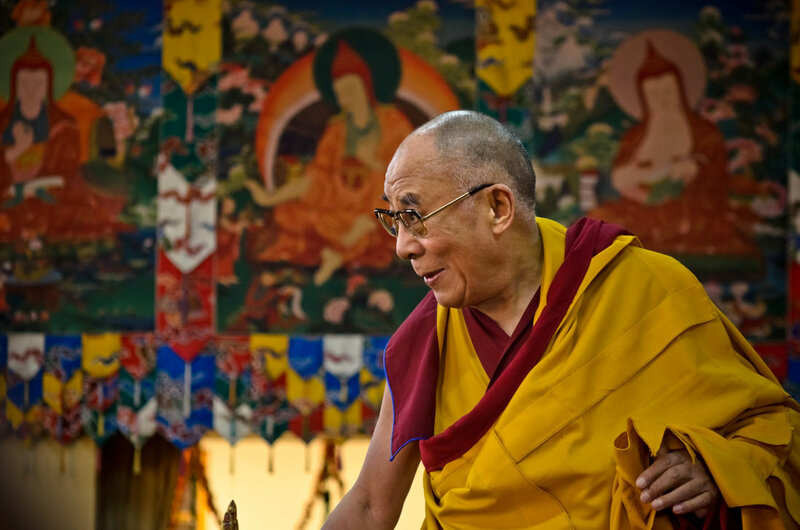 The Dalai Lama, it may be recalled, cut short his US trip on Sep 25 and also cancelled his October tour of the country after doctors at the Mayo Clinic in Rochester, Minnesota state, advised him to take complete rest for several weeks. He continued to remain at the Clinic – where he had been undergoing annual checkups for the last 10 years or so – for evaluation tests. He returned to his exile home in India on Oct 3 after a Sep 30 meeting with more than a thousand Tibetans at the Mayo Civic Centre. He told the gathering that his physical condition was “in general, very good” and there was no need for any worry about it.